Would December really be the same without a plate of gingerbread men hanging out in the kitchen? No, no it wouldn’t be. And now you don’t need to worry about trying to find a great gluten free, vegan gingerbread recipe because there’s one right here! Exciting, right!? Molasses isn’t a raw food, but it’s very nutrient dense and that’s alright with me. You could probably leave the molasses out, or substitute it for maple syrup or another flour but they wouldn’t be gingerbread cookies then! In a food processor blend together all ingredients to create a sticky dough. Place dough between sheets of parchment paper and roll out until they’re to the thickness desired. Use a cookie cutter to make your gingerbread men. You can also just roll these into gingerbread balls if you’re pressed for time or don’t want to make the rolled out cookies. In a food processor blend together ingredients until icing/a creamy mixture is created. 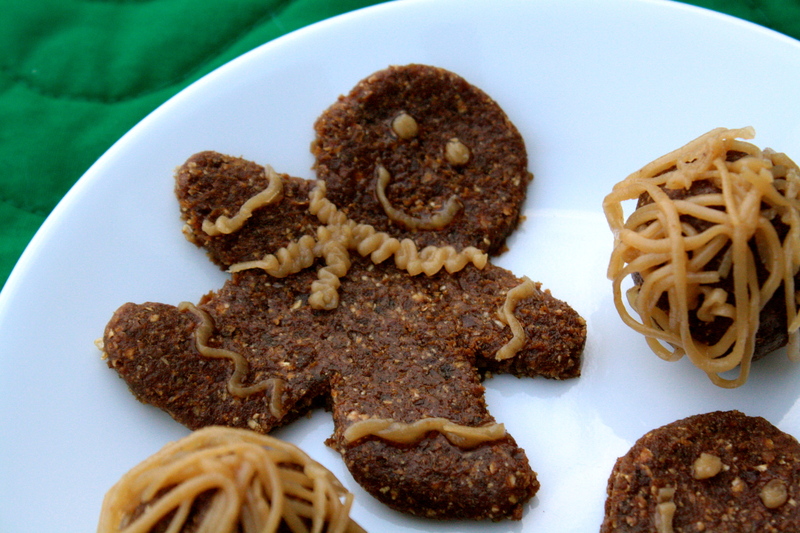 Place in a piping bag and create your little gingerbread men however you please. 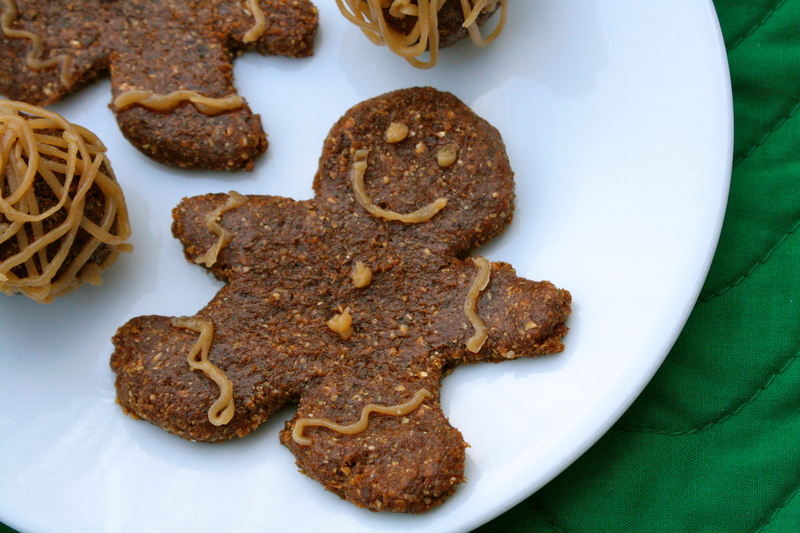 This entry was posted in Recipes and tagged christmas, christmas recipe, food, gingerbread cookies, gluten free, gluten free raw vegan, gluten free vegan, raw vegan, recipe, vegan, vegan christmas, vegan gingerbread, vegan recipe on December 4, 2013 by Amanda - Create N Plate.